Christopher Steele backed up the Trump dossier with unverified posts by random CNN viewers on their iReport website. This is what they used to get warrants and spy. So, CNN, Hillary, and the Democrats all conspired with Federal Employees to create and give validation to a fake report reported as news, to get a secret FISA court order to spy on a national campaign for president opposed to Hillary. Former British spy Christopher Steele admitted that he relied on an unverified report on a CNN website for part of the “Trump dossier,” which was used as a basis for the FBI’s investigation into Trump. In the dossier, Steele, a Cambridge-educated former MI6 officer, wrote about extensive allegations against Donald Trump, associates of his campaign, various Russians and other foreign nationals, and a variety of companies — including one called Webzilla. Those allegations would become part of an FBI investigation and would be used to apply for warrants under the Foreign Intelligence Surveillance Act. During his deposition, Steele was pressed on the methods he used to verify allegations made about Webzilla, which was thought to be used by Russia to hack into Democratic emails. Steele was looking to hurt Donald Trump’s candidacy found the most damaging and salacious of these user-generated, unverified posts to include in his report for the Clinton campaign. 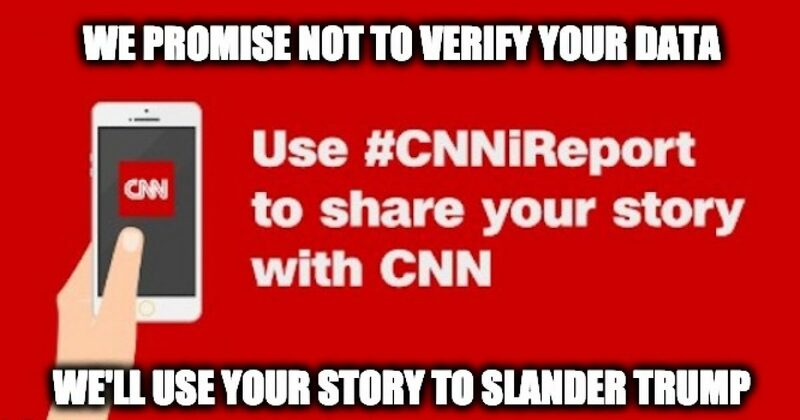 CNN’s iReports posts by random people have as much credibility as most of CNN’s wild slanderous speculations disguised as commentary, and single anonymous source news. In plain English, the dossier is a completely fabricated lie that created an investigation that just drags on forever.